Every woman is beautiful when she takes care of herself. You only need to dress in an appopriate way and put on some make up and voila ! 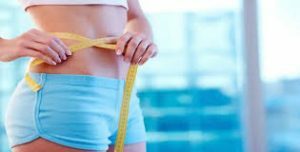 You can say hi to your perfect new look.If you can’t loose weight easily,try to be satisfied with your overweight look. Just until a few years ago overweight people couldn’t find clothes for themselves. Nowadays every one on every size can buy clothes for themselves. The clothing industry has many solutions for the overweight people. Nowadays many people have weight problems. Most of them are young people who gained weight because of their unhealhty nutrition like fast food and sweets. And many women gain weight because of their pregnancy and can not success to loose weight aftertheir pregnancy again. Today many famous stores started to sell upper size clothing. Even the most trendy ones have started to produce in bigger sizes. And another option are the stores ,which only sell dresses for upper sizes. But this old fashioned now. Upper size fashion has improved upon time. The clothing factories started to produce a variety of clothes like dresses, pants,shirts ,t-shirts and even bikinis fort he overweight people. Women can find different and beautiful clothing. They must not stick to black as they used to do before. Now every woman can dress in a way that she likes and a teenage has the opportunity to look as a teenage thanks to the new version of the clothing industry.